Following the depositing of instruments of ratification of the Food Assistance Convention (FAC) by six Parties - namely Canada, Denmark, the European Union, Japan, Switzerland and the United States of America - the Food Assistance Convention entered into force on 1 January 2013. 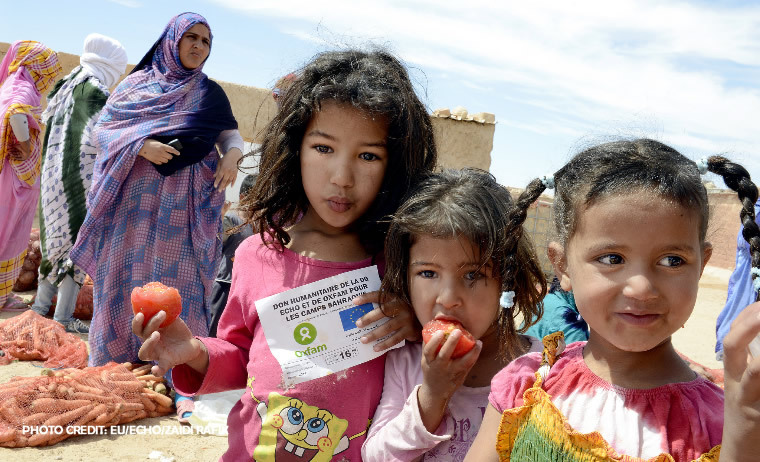 The FAC is the latest in a long series of such multilateral cooperation instruments in operation since 1967, and was preceded by the Food Aid Convention 1991. The FAC expands the traditional focus of previous Food Aid Conventions that were focused exclusively on commitments of in-kind food aid for direct consumption. The new Convention includes a broader toolbox of eligible activities and food assistance products, including cash and vouchers and products intended for protecting livelihoods, a great focus on nutrition, as well as a commitment to improved transparency and accountability. The Convention also provides an important set of guiding principles for the Parties to follow in implementing their food assistance programs. Finally, Parties to the Convention now make their commitments in monetary value as opposed to metric wheat tonne equivalent. Facilitating information-sharing, cooperation, and coordination, and providing a forum for discussion in order to improve the effective, efficient, and coherent use of the Parties' resources to respond to needs. To achieve these objectives, FAC Parties have committed to provide a defined minimum level of food assistance on an annual basis. Additionally, Parties have embraced the notion of transparency in all food assistance operations. To support this commitment, FAC Parties will report food assistance activities publicly, by country on an annual basis. This report is the narrative component of Parties' annual reporting. It includes information on how each Party's food assistance policies, programs and operations have contributed to the objectives and principles of the Convention for the reporting year. The FAC is also a forum for Parties to share information and best practices in food assistance delivery. Meeting twice annually, the FAC provides an open forum for Parties to discuss the most efficient and effective means of delivery of food assistance. Recognizing the changing landscape of emergencies and other assistance needs, Parties have prioritized the consideration of new modalities for food assistance aimed at reducing associated costs, while ensuring that the most in need are reached. The proliferation of serious and large-scale crises occurring simultaneously confirms the relevance of the FAC. Combined with ever widening gap between needs and available humanitarian funding, the incentive to develop innovative solutions is more pressing than ever. International financial commitments certainly have their part to play - they are a visible and tangible demonstration of a minimum response by the donor community and one against which members are held publicly accountable. This predictable and certain response is an important signal to our partners (UN, NGOs and others) and to those affected by crises that the international community stands with them in times of need. Humanitarian assistance should be seen as a multi-faceted response to the human misery and suffering that results from conflicts and disaster and as a first step to reinvigorating local business and agriculture and to helping people rebuild their lives and livelihoods. The forum provided by the FAC encourages members to develop and implement innovative solutions to better respond to the real needs of affected people and to share these experiences. As humanitarian actors, we need to consistently ensure that we provide the most appropriate and effective solution to the needs of people affected by a disaster and the FAC has a key role to play in promoting best practices and in shaping policies.